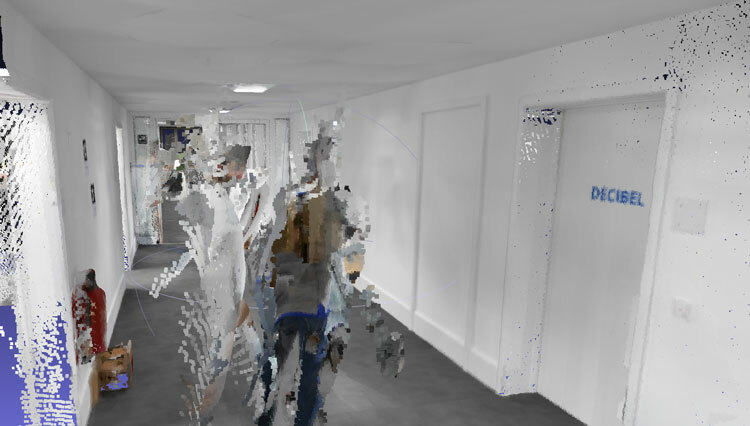 Munich, Germany — NavVis announced a new software release for the NavVis M6 Indoor Mobile Mapping System (IMMS) that automatically detects and removes dynamic objects and object fringe points from point clouds during the post-processing of scan data. A point cloud before (top) and after the algorithm has been applied to a dynamic object. For more information, visit www.navvis.com/M6.